Earlier this month, my youngest daughter turned 12. Where does the time go?! To celebrate, she had a bunch of girls from school sleep over, and it was the most we've ever had sleep over at one time: 8, plus my kid. I know for some families, that's nuthin'. For me, 8 guests is a HUGE deal. We have a small house, and only one living room; no family room or den or anything else of the sort. We do things out of our comfort zone for those we love, don't we? The birthday girl loved it, and that's what matters. 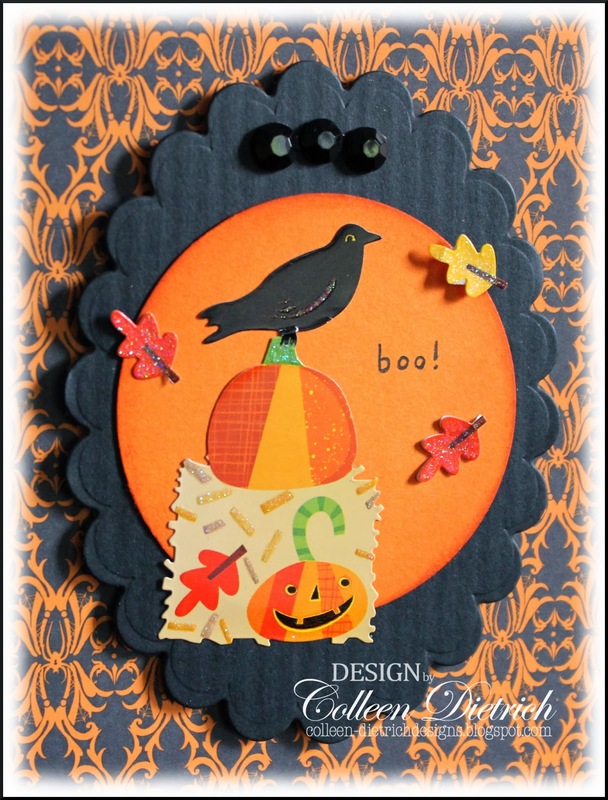 I dug through my scrap basket and found this ridged black scalloped oval die cut, and orange circle die cut, and matched them up with some stickers from Jolee's Boutique. No pearls this time, but black gems instead. I hand-wrote the "boo!" sentiment. Nothing in my stamp stash fit just right in that little area. If you've got little ones (or grandkids), what will their Halloween costumes be? My birthday girl is not sure, and my older daughter is going to be a "Couture Clown". Pictures will definitely be shared! We're in the process of working on her costume. P.S. Paulette Manion, if you are reading this, you had asked me how I made the leaves for the autumn card in THIS post. I tried to find a way to contact you, but couldn't find one. I used Martha Stewart punches: Rose Leaf and Maple Leaf to create them. Hope that helps! What a fun card!! I loveeeeeeee the bird and the pumpkin!! And Brookie is going to be a cowgirl!!!! What a cool and fun birthday card. You almost have two teen-agers now. Times does pass quickly so enjoy every moment. My little 3 yr. old granddaughter is going to be Sulley from Monsters Incorporated. So cute!!!! !Love the bird and papers! 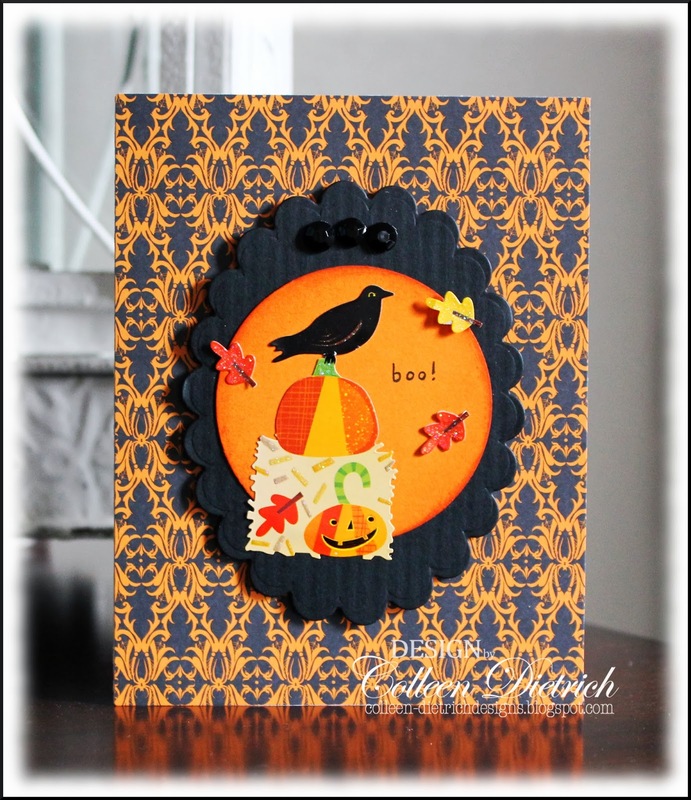 Super cute Bday card for your punkin! The happiest of belated birthday wishes and blessings to her. One year our son went as Edward Scissorhands!! I found various sized wooden scissors at the craft stores, painted them silver and sewed them onto work gloves. We did a crazy wig and the safety pinned suspenders!! He was a HUGE hit!!! CUTE birthday card for your daughter! Sounds like she had a great birthday! My son is way past the age of trick or treating. But, he went as a Power Ranger for several years when they were popular. He won't admit that now, though...lol! Hope your girls have lots of fun! Take care, hugs! Adorable, Colleen! The sticker is just too cute! 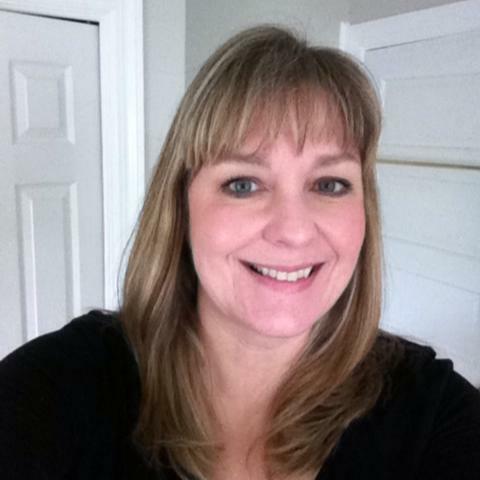 Greetings Colleen, One of my favorite bloggers! 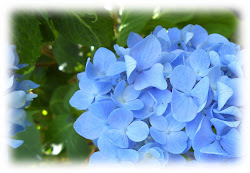 Thanks for the shout-out regarding the punched leaves! They were new to me & I wasn't sure if they were die-cut or punched. They sure do pop! Have a Happy Friday! How fun, love that background pattern paper! Happy birthday to your daughter, so happy she had a blast at her sleepover.